One of the Oregon coast’s most breathtaking waterfront locations is all yours at this resort town located at the end of the historic Lewis and Clark trail. 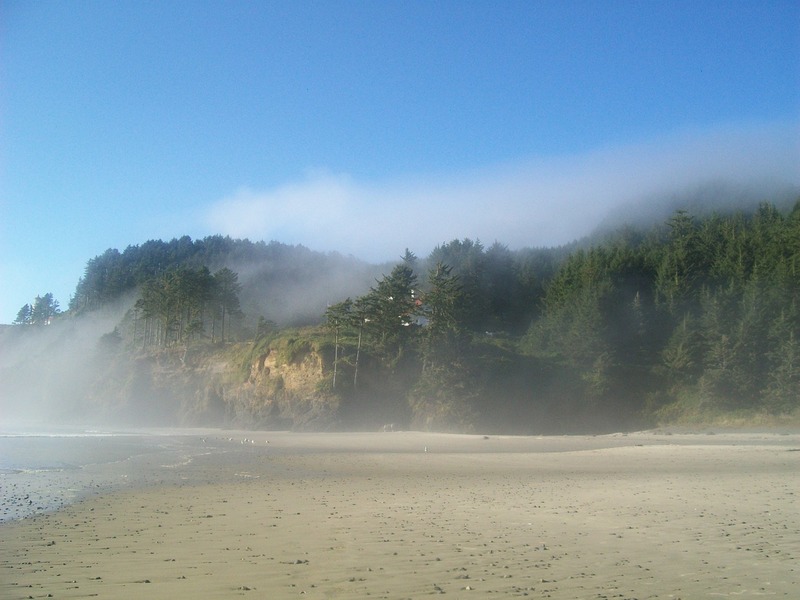 One hundred yards of sandy beach lead down to the invigorating waters of the Pacific and one of the best swimming beaches in Oregon. Seaside has been a vacation destination for nearly as long as Oregon has been a state. Located less than 90 minutes from Portland, Seaside started with a guesthouse in the 1850s, and it wasn’t long before tens of thousands of visitors were making the trek to enjoy the remarkable natural beauty of Oregon’s North Coast. The accommodations may have changed over the years, but the town remains a classic getaway that’s filled with outdoor activities, a beautiful and historic downtown, and unforgettable views of the Pacific. Whether your tastes lean toward boutiques or bumper cars, you’ll find something to love in Seaside. Here are just some of the things that make it so special. Let’s start with the reason that Seaside has become a longtime year-round destination in the first place—the wide sandy beaches and rugged scenic coastline. Put down a blanket and spend the day playing with sand, soaking up the sun or cloud-watching. In the evenings, build a fire on the beach and share s’mores as the sun sets on the Pacific (although it’s usually a safe bet, just check for any fire bans before you start!). While there’s no surfing or boogie boarding allowed on Seaside’s main beach, some of Oregon’s best surfing can be found on the North Coast, including Seaside Cove and Indian Beach. They’re both just south of town around the Tillamook Headlands and in Ecola State Park. Never surfed before? Lessons are available at Cleanline Surf and the Seaside Surf Shop, both of which rent surfboards, boogie boards, kiteboards, wetsuits, and more. The Northwest Women’s Surf Camp offers superb instruction at its one- and two-day camps. For most people, Seaside is synonymous with the famous Promenade, the 1.5-mile paved pathway that’s lined with charming lampposts and dates back to the 1920s. It’s the perfect option for a morning jog or midday walk—and you can’t beat the people watching as you near the Turnaround. Take in the panoramic views of the Pacific, the grassy dunes, and the rainforest at Tillamook Head. It’s a great way to see a little bit of everything the area has to offer. But the beach is just the start of how to spend your time outdoors. With two rivers running through town, paddlers have lots of options for exploring Seaside. Start at the dock on the Necanicum River in Quatat Park, where you can rent pedal boats, water bikes, stand-up paddleboards, and kayaks. The calm waters on this stretch of the river make this an excellent destination for beginners and families. For a bit more adventure, rent kayaks at Cleanline Surf and take them to the launch at Broadway Park. From here, it’s about an hour’s paddle north on Neawanna Creek before you reach the Necanicum Estuary. Keep your eyes open for great blue heron, osprey, bald eagles and other migrating birds. You may even spot a Roosevelt elk or black-tailed deer along the shore. Those who prefer to stick to dry land can hop on a bike and take a relaxing ride on a cruiser or tandem to explore the Promenade. Mountain bikers can hit the trails at the Lewis & Clark Timberlands, which is known for the 21-mile Twin Peaks Saddle Loop Trail. (Make sure you grab a free permit ahead of time!) Need a bike? You’ll find rentals at Wheel Fun Rentals or the Prom Bike Shop in town. If you prefer to explore on two feet instead of two wheels, you’ll find plenty to do in this area as well. The Mills Pond Trail is a family-friendly path that allows you to see the 55-acre wetland preserve up close. For more of a challenge, the 7.5-mile (one-way) Tillamook Head Trail starts at the Elmer Feldenheimer Forest Preserve on the south side of town and climbs through the densely forested headlands. Climb up to 1,130 feet to an observation point for a view of the Tillamook Rock Lighthouse. You can continue hiking all the way to Ecola State Park. Another popular hike is the 5.2-mile round trip to Saddle Mountain. Expect 1,603 feet in elevation gain and once you reach the summit (where there used to be a lookout tower), you’ll have panoramic views of the North Coast and Mt. Hood. If you come in the summer, you’ll see tons of wildflowers bursting into bloom! Finally, the North Coast is one of the oldest golfing destinations west of the Rockies. Check out the Scottish-style Gearhart Golf Links (established in 1892) for a windswept challenge with rolling coastal dune and lots of bunkers. The Highlands Golf Club is a nine-hole course that’s popular for beginners, while the Seaside Golf Club sits on a picturesque bend in the Necanicum River and offers a challenging nine-hole layout. 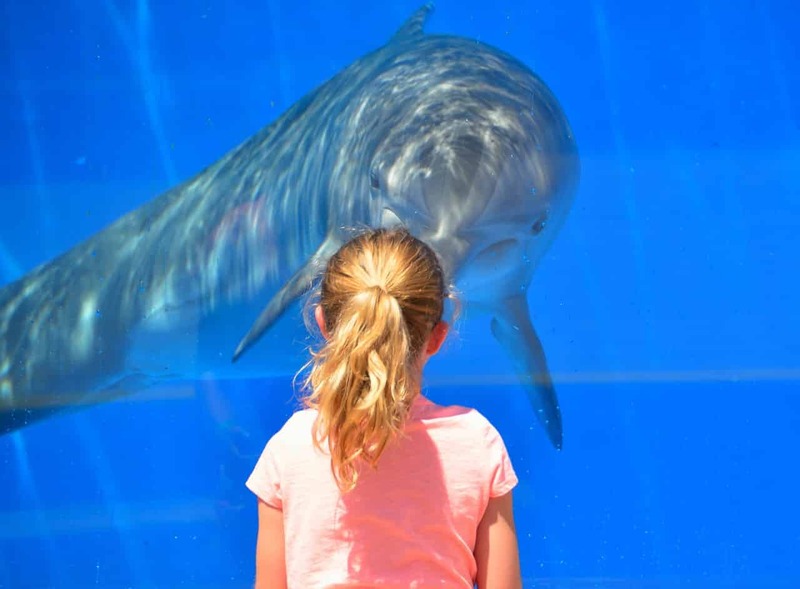 Seaside is filled with plenty of family-friendly attractions besides the beach. The Seaside Aquarium has been entertaining visitors for more than 70 years with live displays of Northwest marine life and a hands-on discovery center for kids. Feeding the seals is a time-honored tradition here. Just two blocks from the beach, the Seaside Carousel has been the town’s most colorful attraction for more than 25 years, and kids can ride one of the 24 full-sized carousel animals. The Funland Arcade has an old-school feel, with pinball, air hockey, and Skee-Ball. It’s been entertaining generations of families since the 1920s, and it features the only Fascination parlor remaining on the West Coast. For older kids, the Seaside Skate and Ride Park is one of the top skate parks in the state, with sculpted bowls, a double halfpipe, ramps, and grind rails. Kids of all ages will enjoy spending time at Captain Kid Amusement Park, which features single and double go-karts among other attractions, while the opening-soon High Life Adventures scenic zip-line course will provide thrills for all members of the family. Take a deep breath and take the jump to travel through the air on a trip you won’t forget. Of course, you don’t have to spend all your time looking for adventure. A vacation is about relaxing as well, and once you get to Seaside, it’s not difficult to park your car and leave it there for good. Most everything downtown is within walking distance, including three unique shopping districts to explore—all with no sales tax. Downtown Seaside is home to dozens of galleries, boutiques, and shops with a coastal flair. The Gilbert District, just east of the Necanicum River on Broadway, is known for its home decorating boutiques, antiques, and art galleries. 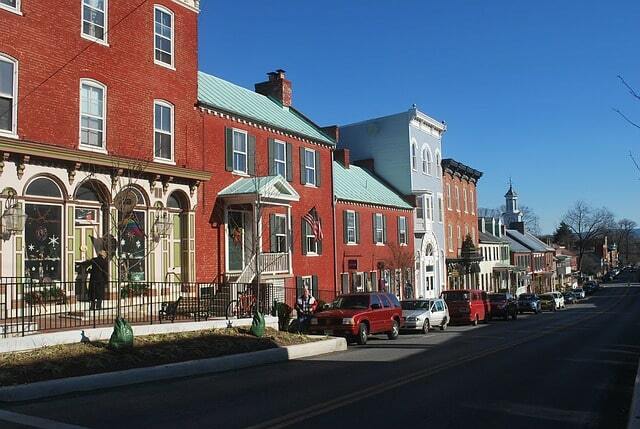 Take a stroll to see the town’s oldest buildings and historic architecture. Finally, just a half mile north of Broadway is the Seaside Factory Outlet Center, with dozens of stores where you can shop for bargains. When you’ve worked up an appetite, you’ll find that the restaurants in Seaside take full advantage of local and seasonal ingredients of the region. There’s plenty of Pacific seafood, including what the locals claim is the best clam chowder in the world. (You won’t disagree.) Enjoy a thick steak or the locally smoked salmon, and then finish the meal with a dessert made with fresh Oregon berries. Street food is everywhere, with elephant ears, ice cream, and more than 170 flavors of salt water taffy. Seaside has everything from traditional American and Italian to pub favorites and ethnic restaurants. Seaside may be close to Portland, but you’ll feel a world away when you visit. From its natural beauty to charming attractions, the city is a welcome escape from the hustle and bustle of everyday life. Whether your idea of a vacation involves relaxing on the beach, touring art galleries, or hiking to some of the most picturesque bluffs on the Oregon coast, you can do it Seaside. See for yourself why generations of families continue to make the trip back to this classic destination every year. Written by Jeff Banowetz for RootsRated Media in partnership with the City of Seaside Visitors Bureau.